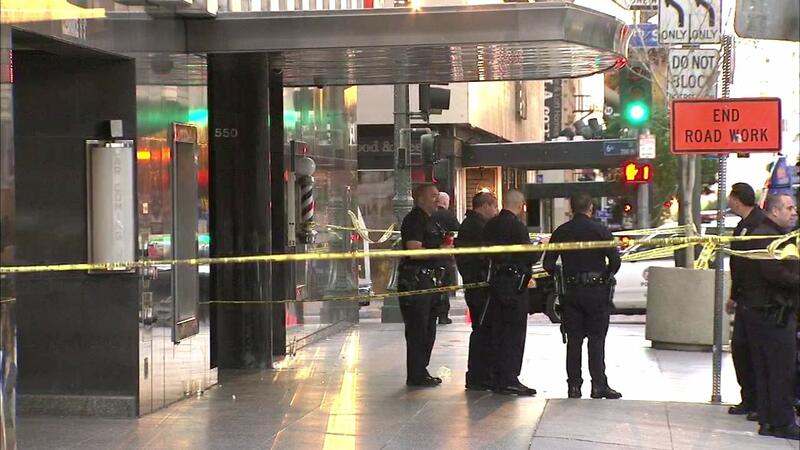 LOS ANGELES -- One person was killed and three others were injured in a shooting outside The Standard Hotel in downtown Los Angeles early Sunday morning. Police first received a call about a fight underway at the hotel at 5550 S. Flower Street at around 2:30 a.m. Shortly after, shots were reported. Investigators said four people were shot and transported to local hospitals. One person, described as a 21-year-old male, died at Los Angeles County-USC Medical Center. The three others were reported to be in serious but stable condition. What led to the initial altercation was not immediately known. Police are hoping the hotel's surveillance video can help them in their investigation. "They're going to be in there watching video so that they can piece together what occurred and possibly get some suspect descriptions," said LAPD Officer Donald Graham. The hotel has been rendered safe. No arrests have been made.